The simple technique or concept behind losing weight is to burn more calories than you consume. One of the best ways to lose weight is to try out the combination of high intensity exercises with low calorie eating regularly and continuously. What happens is that workout equipments can tend to raise the heart rate and this results in breaking a sweat which helps us to lose more calories. In order to lose weight, one must go for those exercise equipments which can atleast burn atleast 400 calories per hour and offers enough resistance to increase the calorie burning capabilities. The following are the top 4 types of workout equipments to lose weight. 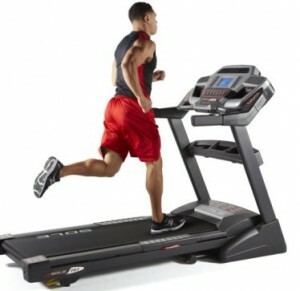 One of the best and most popular equipments for losing weight is treadmills. This machine, whether used for running, walking or jogging can help to burn a lot of calories and can be used flexibly, according to your own body’s capabilities and workout resistance. Walking on a treadmill can burn 220 calories in about 30 minutes whereas jogging or running can help you burn about 1000 calories per hour. It is important to start slow if you are a beginner so that your stamina and endurance builds up slowly. To buy a treadmill, you can read treadmill reviews online. Stair climbers are a kind of cardiovascular machines which help to tone the legs, the buttocks and also help you burn calories. This machine helps to work on the hamstrings, the quadriceps, the calves as well as the glutes and thus offers both aerobic as well as strength training benefits. This is a high intensity machine which has the capability of burning 250 calories in 30 minutes. One of the benefits of this type of an equipment is that it offers many resistance levels which means one can adjust it as per their suitability. There are many types of elliptical machines in the market and to buy one for yourself, you must first read elliptical reviews online. These machines help to burn the same number of calories as a treadmill without stressing your joints. What this machine does is that it activates the muscles in the legs, arms, glutes and shoulders. It also helps to build muscular strength, stamina and endurance. One can also raise the machine’s resistance for a better impact and workout. If you want a low impact aerobic workout which tones the upper and lower body, choose this wonderful workout machine. Another superb workout machine which helps you to burn calories and thus lose weight is a stationary cycle. These machines help to enhance the levels of cardiovascular fitness and can enable one to burn upto 600 calories in an hour. One can magnify the workout impact through the magnetic resistance feature, which most of these machines have. Some of the benefits which a stationary cycle may provide include strength training benefits, toning of calves, hamstrings, glutes, quadriceps etc. How Common Fitness Myths Can Benefit You?